This exhibit showcases truly amazing work from across the U.S.. 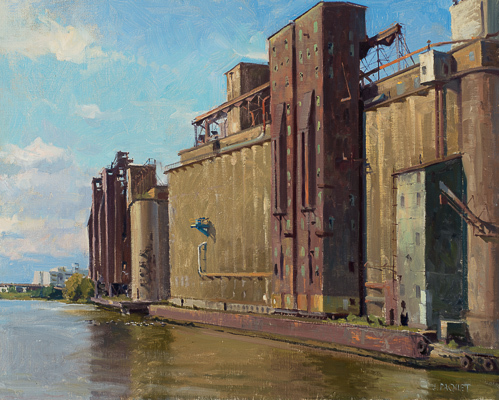 I will be exhibiting two works for the first time; the industrial piece was painted in Buffalo N.Y. along the shore of Lake Erie. 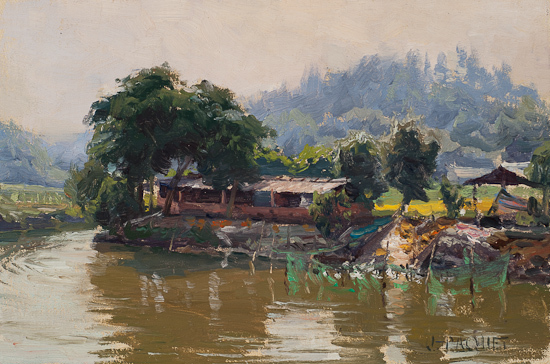 The smaller painting was done in rural Southern China. Visit the California Art Club for details. This exhibit at the historic Salmagundi Club in Manhattan will highlight nearly 100 works from the PAPA group. I will be attending the opening on Friday, April 25th and exhibiting the two large field paintings shown here. Additionally I have the honor of writing the forward to the exhibition catalogue printed below. 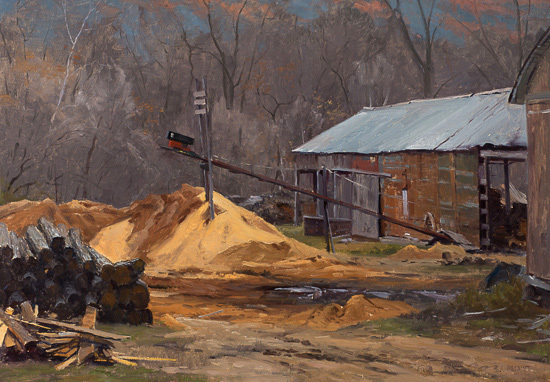 The Living Experience: Why Paint Plein Air? "Why not just take a photo?" All of us have heard that question while painting outdoors. The fact is that even the finest photo will never be a just substitute for the Living Experience of painting on location. The Living Experience is first about connection. Being enveloped by nature affords the artist an opportunity to radiate all of our senses outward and creates multiple points of contact with a particular experience. The more senses the artist engages, the more potent the encounter. The Living Experience is also being subject to an environment we cannot control, giving us a healthy sense of our place in the world and a measure of humility. Though humility the universe reveals itself. On a very practical level, the Living Experience gives us the chance to have friction imposed upon us. Friction forces the artist out of numb comfort into a wakeful appreciation of the moment. The Living Experience necessitates working quickly, allowing the artist to access intuition and to experience risk. Clarity and economy are the poetry of risk, and through them the artist opens the door for a chance to experience spirit. So, yes, to those who deny the values of connection, humility, friction, and risk in experiencing spirit, why not just take a photo? If you would like to see a PDF of the Exhibition Forward, click here.